. : Dolomiti Shuttle by Cortina Express | Excursions :. 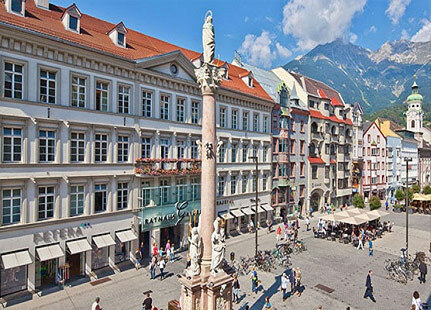 The exciting medieval era is still present: in the old town of Innsbruck, which show off 800 years of history. The many monuments tell the busy history of the city: for example the "Goldenes Dachl" (The golden little roof), or Lodge of the Emperor Maximilian I, witnessed knightly tournaments. Sumptuous parties were organized in the Imperial Palace; "Schloss Ambras" (Castle of Ambras) became a ostentatious place of attraction. From the tower of the city, until the twentieth century, a picket gave the alarm in case of fire, bad weather and enemy attack. The compiler authorizes the data processing in accordance with the UE 2016/679 General Data Protection Regulation - GDPR about Privacy.